Paul Revere was an early revolutionary from Boston who made a number of key connections with leaders of the Loyal Nine and Sons of Liberty. While he is most remembered for his Midnight Ride, his copper engravings and other works of propaganda portrayed Boston as an oppressed and ill-treated town, occupied by a brutal army of British regulars. After the war, he went on to be a successful entrepreneur opening an iron foundry, and later a copper mill which produced practical goods for the local populace. 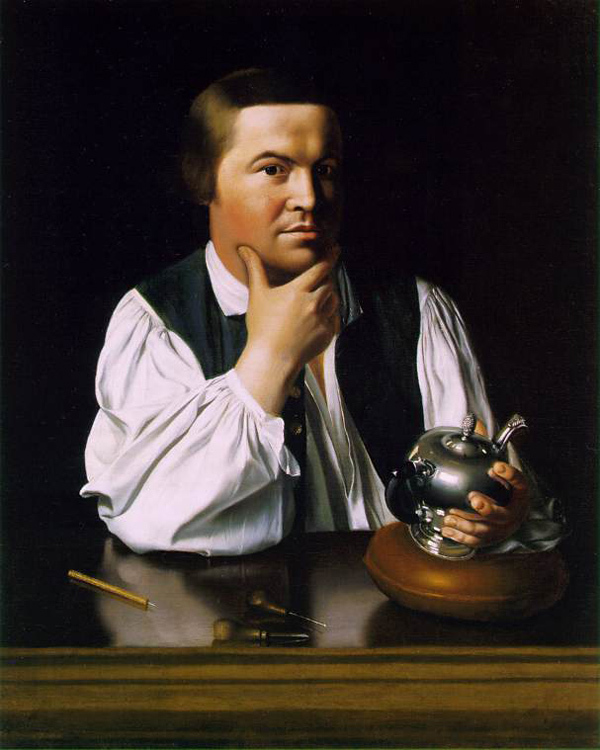 Paul Revere was born in the North End of Boston on December 21, 1734. Although Revere originated from the middling sort, through his membership in St. Andrews Lodge of Freemasons, he made connections with a number of people who later became the founding members of the Loyal Nine. Although he was not a member of the Loyal Nine, it is believed that he assisted this predecessor organization of the Sons of Liberty in leading political protests against Parliament’s authority to tax the colonies. While he was not known for exceptional oratory, he was a master of propaganda, and his works helped the Sons of Liberty galvanize support for their dissident cause. 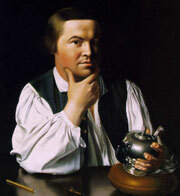 In August of 1765, Paul Revere participated in the Stamp Act Riots in response to the impending Stamp Act that was to take effect in the coming months. During these riots, the mob tore down the houses of government officials, including the house of Lieutenant Governor and Chief Justice Thomas Hutchinson. While these riots were viewed in a negative light by Parliament, the now apparent unpopularity of the Stamp Act in British North America forced its repeal. Following swiftly on the heels of the Stamp Act’s repeal was the passage of the Declaratory Act in 1766, further asserting Parliament’s right to tax the colonies. From this point forward, Paul Revere dedicated himself to the production of engravings which highlighted the excesses of the British government, and the unpopularity of their laws in Boston. 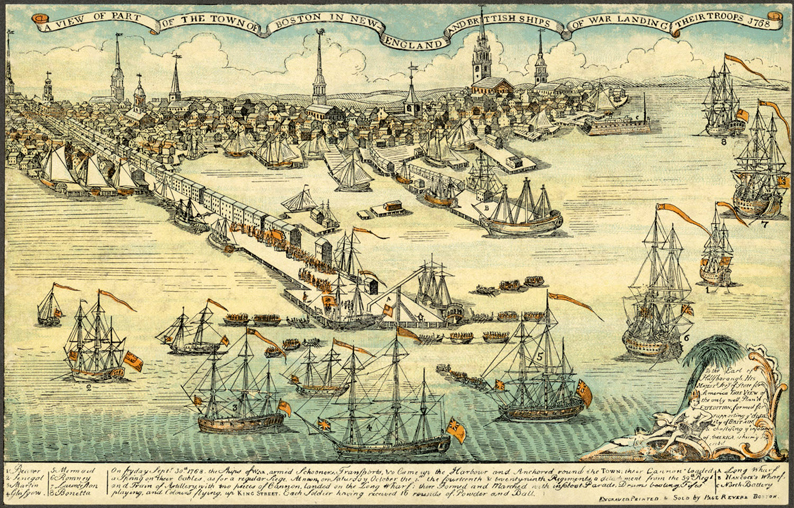 On October 1, 1768, two thousand British regulars arrived in Boston. Paul Revere rendered his first of many engravings which, in a subtle manner, detailed the ill effects of British imperial policy in North America. In his engraving of the arrival of British troops, Revere included towering church steeples along Boston’s skyline as evidence of the town’s orderly and religious origins. To the viewer of the eighteenth century, this made the arrival of British regulars even more offensive. 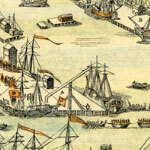 If Boston was capable of managing its own affairs, then why were two thousand regulars quartered in the town? Paul Revere's inaccurate but politically compelling depiction of the Boston Massacre, 1770. Library of Congress. As time passed, tensions between the occupying force of British regulars and the town of Boston mounted. 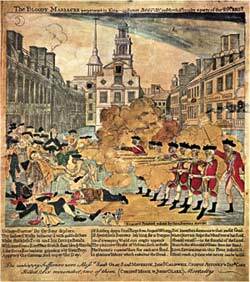 On March 5, 1770, these tensions resulted in the deaths of five unarmed Boston civilians on King Street. This tragedy later became known as the Boston Massacre. 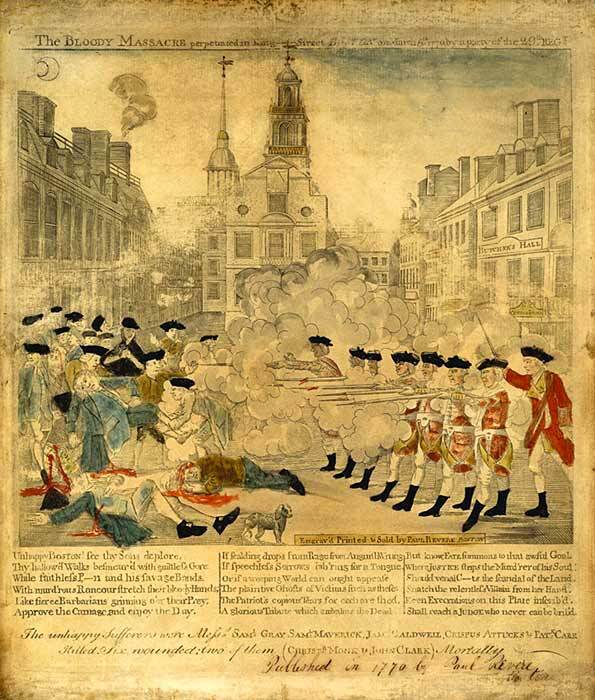 Henry Pelham produced an engraving that was later copied and sensationalized by Paul Revere entitled the Bloody Massacre Perpetrated in King Street. In this engraving, Revere depicted Captain Thomas Preston standing behind his soldiers of the 29th regiment, implying that he ordered them to fire into the crowd—which was later refuted during the Boston Massacre Trial. In addition, Ebenezer Richardson was shown firing his buckshot into the crowd (which had happened only a few weeks prior on February 22, 1770, resulting in the death of Christopher Sneider), and a storefront labeled “Butcher’s Hall” as to appeal to the viewer’s perception of the British Army as brutal oppressors. These examples of propaganda did much to convince the public of Parliament’s flawed colonial policies. In the years that followed, Paul Revere, and the leaders of the Sons of Liberty did everything in their power to keep the memory of the Boston Massacre alive. On March 5, 1771, only one year after the massacre, Paul Revere staged an elaborate public demonstration from his home in the North End. From the windows of his home, he displayed various scenes of the Boston Massacre. In one of his windows, he displayed the ghost of young Christopher Sneider along with the names of the five men that fell on King Street. A second window depicted the soldiers of the 29th regiment firing into the crowd, and the third window displayed lady liberty with one foot on the head of a British Grenadier, and her finger pointing toward the window displaying the massacre. While Paul Revere is best remembered for his horsemanship, his most important contributions came from his hammer and chisel. His ability to appeal to the sensibilities of colonial subjects through the works of his copper engravings, and vigils demonstrated the power of propaganda. After the War of Independence, Revere expanded his business to open an iron foundry in the North End of Boston making utilitarian cast iron products that were useful and widely consumed by the local populace. He also opened a copper mill which produced bells for churches, rolled copper for the hulls of wooden ships, along with copper bolts and spikes that were useful to Boston’s burgeoning ship industry. All of this demonstrated that Paul Revere was a man of many talents and a true revolutionary, and was therefore indispensable to Boston’s success in resisting the authority of the British Parliament, and King George III.